UNCASVILLE, CT - MAY 4: Jasmine Thomas #5 of the Connecticut Sun shoots against the Chicago Sky during a preseason game on May 4, 2016 at the Mohegan Sun Arena in Uncasville, Connecticut. 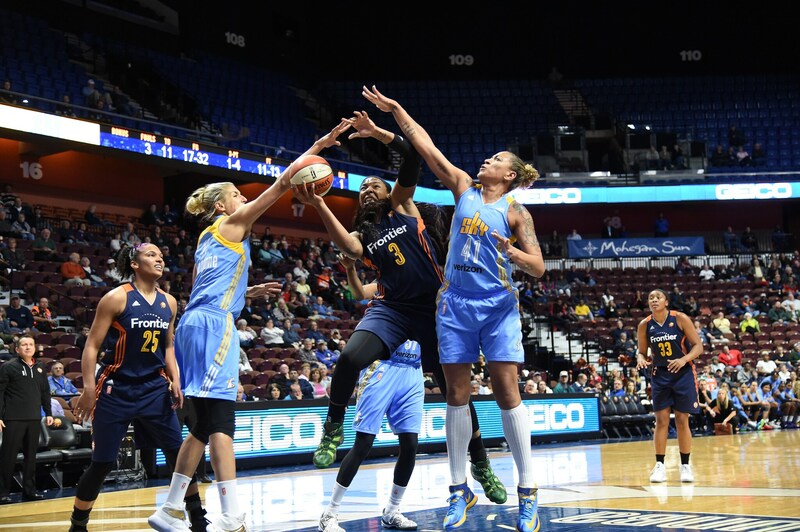 UNCASVILLE, CT - MAY 4: Jessica Breland #51 of the Chicago Sky shoots against Shekinna Stricklen #40 of the Connecticut Sun during a preseason game on May 4, 2016 at the Mohegan Sun Arena in Uncasville, Connecticut. UNCASVILLE, CT - MAY 4: Kelsey Bone #3 of the Connecticut Sun goes to the basket against the Chicago Sky during a preseason game on May 4, 2016 at the Mohegan Sun Arena in Uncasville, Connecticut. UNCASVILLE, CT - MAY 4: Alyssa Thomas #25 of the Connecticut Sun brings the ball up court against the Chicago Sky during a preseason game on May 4, 2016 at the Mohegan Sun Arena in Uncasville, Connecticut. 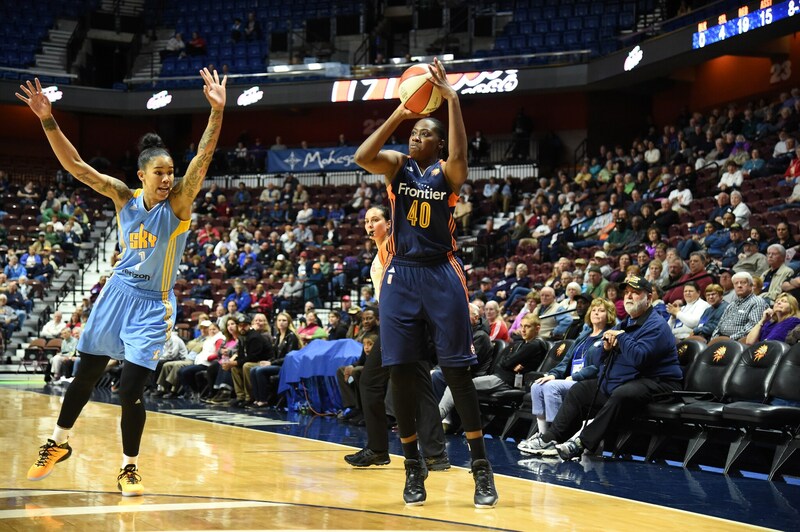 UNCASVILLE, CT - MAY 4: Shekinna Stricklen #40 of the Connecticut Sun shoots against Tamera Young #1 of the Chicago Sky during a preseason game on May 4, 2016 at the Mohegan Sun Arena in Uncasville, Connecticut. UNCASVILLE, CT - MAY 4: Head Coach Curt Miller of the Connecticut Sun looks on against the Chicago Sky during a preseason game on May 4, 2016 at the Mohegan Sun Arena in Uncasville, Connecticut. 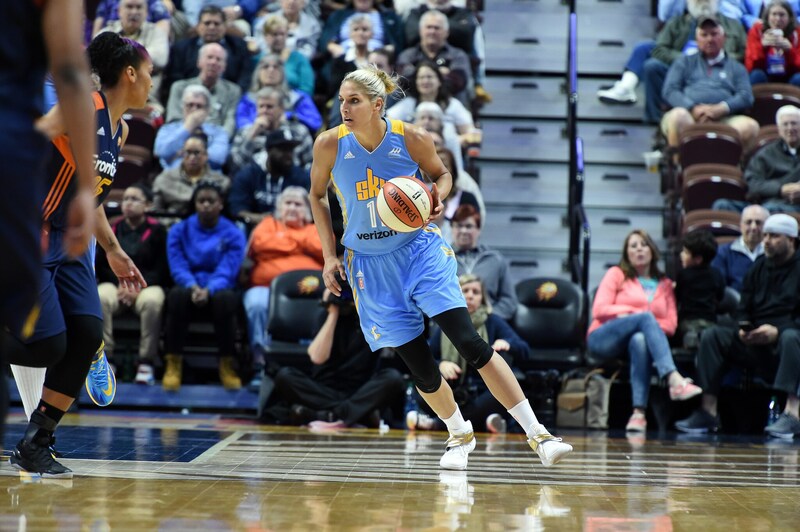 UNCASVILLE, CT - MAY 4: Elena Delle Donne #11 of the Chicago Sky brings the ball up court against the Connecticut Sun during a preseason game on May 4, 2016 at the Mohegan Sun Arena in Uncasville, Connecticut. 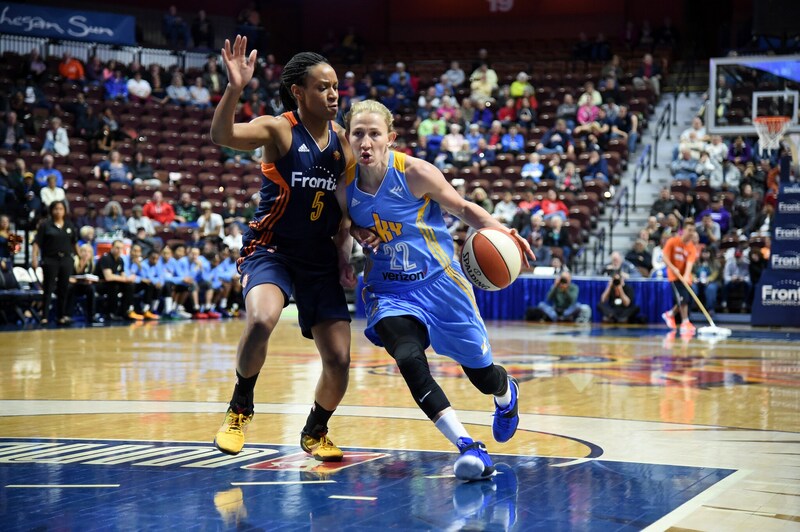 UNCASVILLE, CT - MAY 4: Courtney Vandersloot #22 of the Chicago Sky drives to the basket against Jasmine Thomas #5 of the Connecticut Sun during a preseason game on May 4, 2016 at the Mohegan Sun Arena in Uncasville, Connecticut. 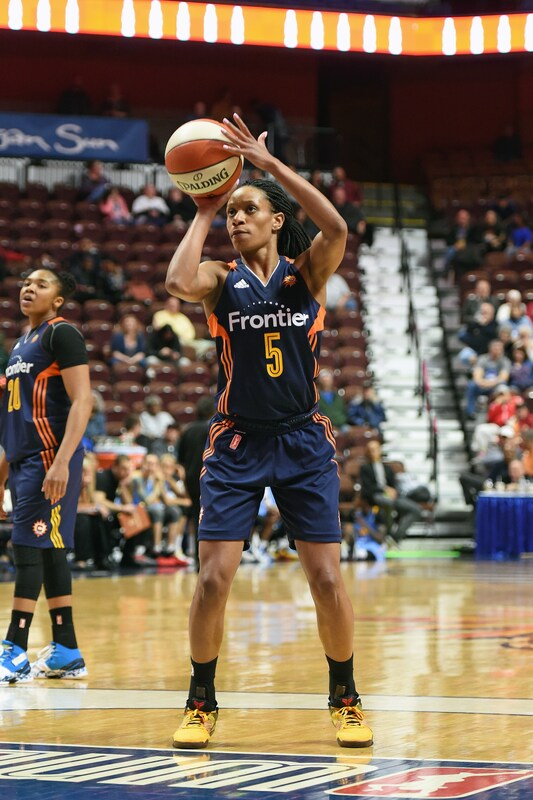 UNCASVILLE, CT - MAY 4: Jasmine Thomas #5 of the Connecticut Sun shoots a free throw against the Chicago Sky on May 4, 2016 at the Mohegan Sun in Uncasville, Connecticut. UNCASVILLE, CT - MAY 4: Jasmine Thomas #5 of the Connecticut Sun handles the ball against the Chicago Sky on May 4, 2016 at the Mohegan Sun in Uncasville, Connecticut. UNCASVILLE, CT - MAY 4: Morgan Tuck #33 of the Connecticut Sun prepares to shoot a free throw against the Chicago Sky during a preseason game on May 4, 2016 at the Mohegan Sun Arena in Uncasville, Connecticut. UNCASVILLE, CT - MAY 4: Jennifer O'Neill #0 of the Connecticut Sun brings the ball up court against the Chicago Sky during a preseason game on May 4, 2016 at the Mohegan Sun Arena in Uncasville, Connecticut. 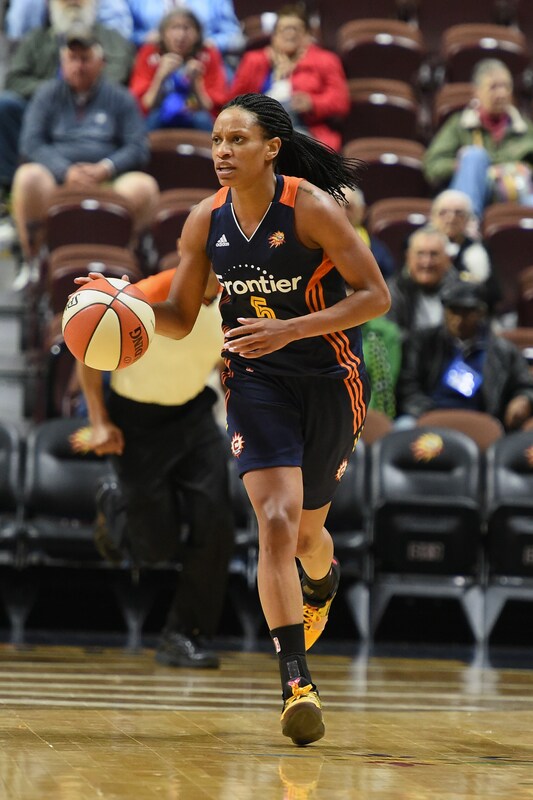 UNCASVILLE, CT - MAY 4: Jasmine Thomas #5 of the Connecticut Sun drives to the basket against the Chicago Sky during a preseason game on May 4, 2016 at the Mohegan Sun Arena in Uncasville, Connecticut. 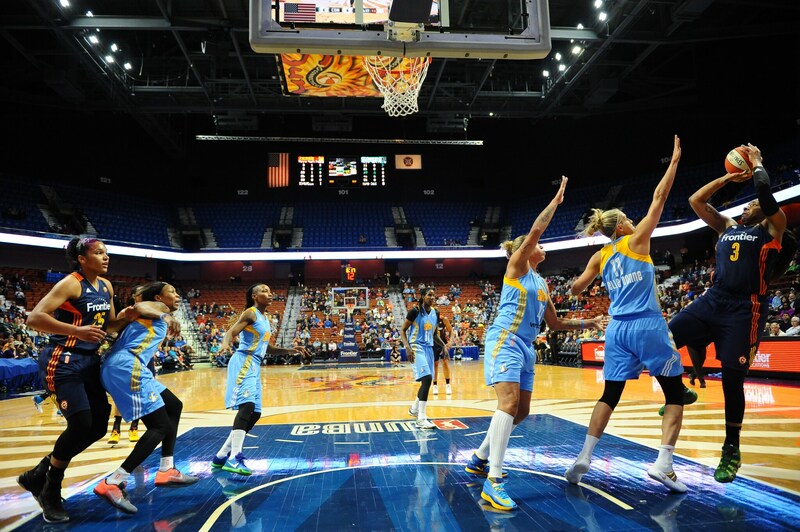 UNCASVILLE, CT - MAY 4: Jamie Weisner #4 of the Connecticut Sun shoots against Tamera Young #1 of the Chicago Sky during a preseason game on May 4, 2016 at the Mohegan Sun Arena in Uncasville, Connecticut.